Strength training and workouts help people build muscle and reduce body fat. But sometime physical workouts tend to be hard when you start them at the wrong footing or you just can’t seem to find the right jumpstart for it. Experts suggest: start with Omega-3. When one ages, he goes into the state where the ability to build muscles diminishes. And studies show that those who take in Omega-3 or have a high intake of Omega-3 in their diet have better resistance and more positive outcomes than those who don't. Omega-3 fatty acids have been known to be effective in lowering the risk of heart disease, help with weight loss, have anti-inflammatory proprieties and can address chronic pain. 1. Helps In Losing Body Fat. Since it has the good fat and aids in better insulin sensitivity, it can be a good way to increase muscle mass. Another reason for this is the hormone cortisol that is being reduced. Cortisol is a catabolic hormone which degrades muscles and results to fat gain. 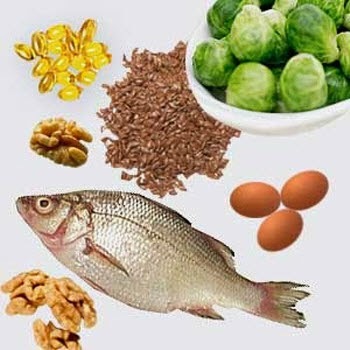 But due to Omega-3, this process can be reversed, so you will gain muscle and burn the fat instead. 2. Helps You Build Muscle. Omega-3 can improve protein synthesis and can also help the increase of muscles cross sectional area. Due to this, many athletes take Omega-3 to help in their fitness trainings. 3. Decreases Inflammation. Inflammation can affect your ability to lose fat and build muscle. But due to Omega-3 and its anti-inflammatory factors, those who exercise intensely have little to no inflammatory response in the body. 4. Improves Insulin Sensitivity and Metabolism. When insulin sensitivity is low, the tendency is that glucose from the food you eat may become fat instead of becoming muscle, in order to be stored and used as energy later. Faster metabolism also makes one see more results from intense workouts. 5. Decreases Soreness. When you are training hard, one of your possible enemies is soreness. This often stops many people from going into repeated routines and eventually they quit. But Omega-3 can help reduce soreness and can also increase strength. There are two options: it's either you consume more omega-3 enriched foods or you take supplements. The first option can be quite expensive and still can’t get you the right amounts of Omega-3 fatty acids. The latter seems a healthy and cheap enough option. A regular intake of Omega-3 supplements and a healthy diet can improve efficacy in exercise routines and workouts. The amount of doses would be first prescribed by a professional. Some oil such as fish oil and calamari oil are popular and are also healthy. Some would even use teaspoons of Omega-3 oils to be included in their smoothies or protein shake. Some other alternatives include plant sources such as walnuts, chia seeds and flaxseeds. 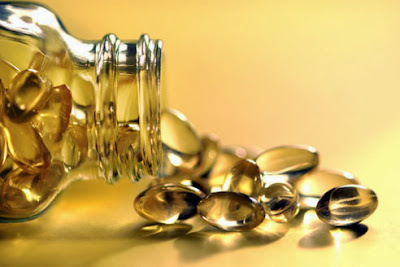 For the best selection of Omega-3 supplements, visit this link.